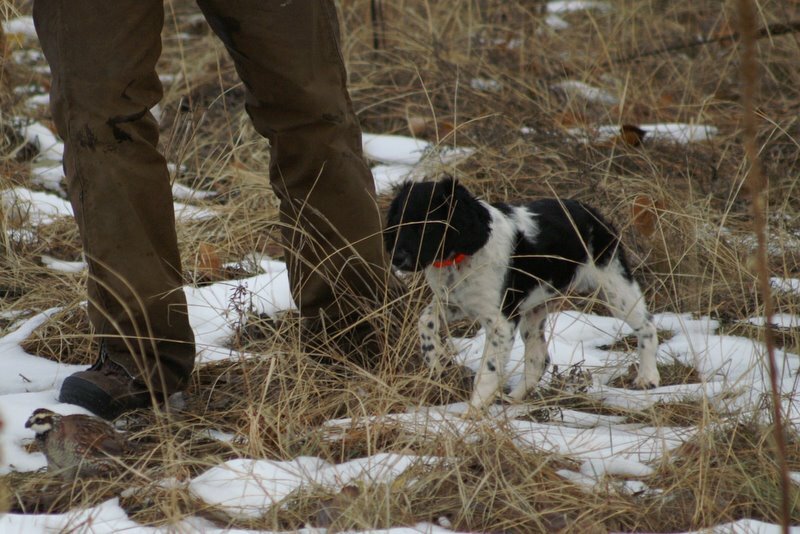 >My good friend and hunting partner Mark Thompson recently acquired a new member of the family…a French Brittany from the author of “A Hunter’s Road” Jim Fergus. 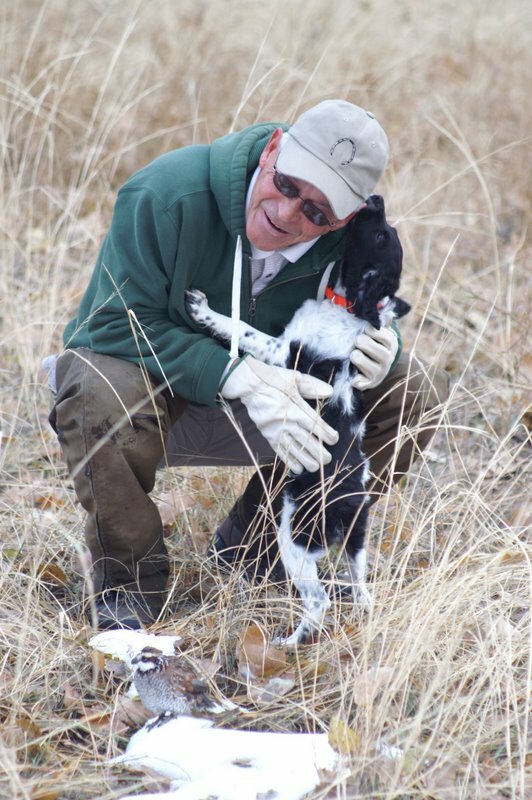 Here are some photos of Remy and Emile with gun dog trainer extraordinaire Gary Ruppel. 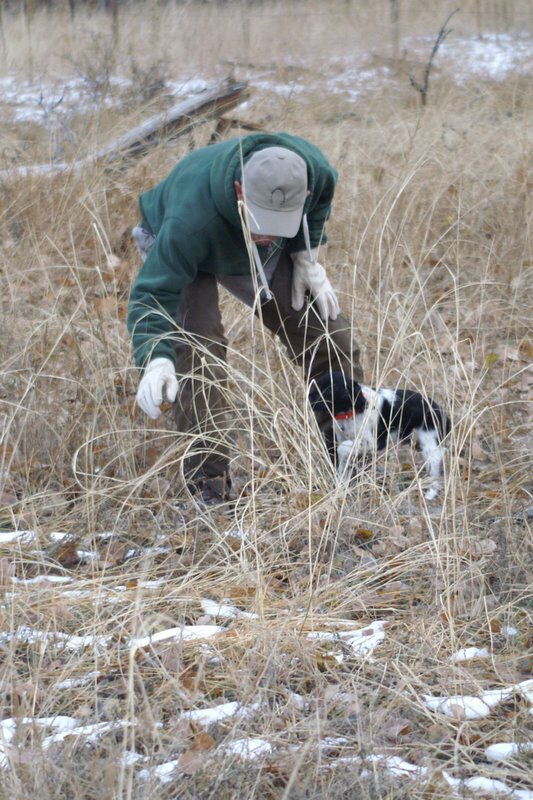 I can hardly wait to get in the field with Mark and his bird dogs! Emile and Remy got a trip over to our friend and well-known gun dog trainer, Gary Ruppel, for some bird dog training today. 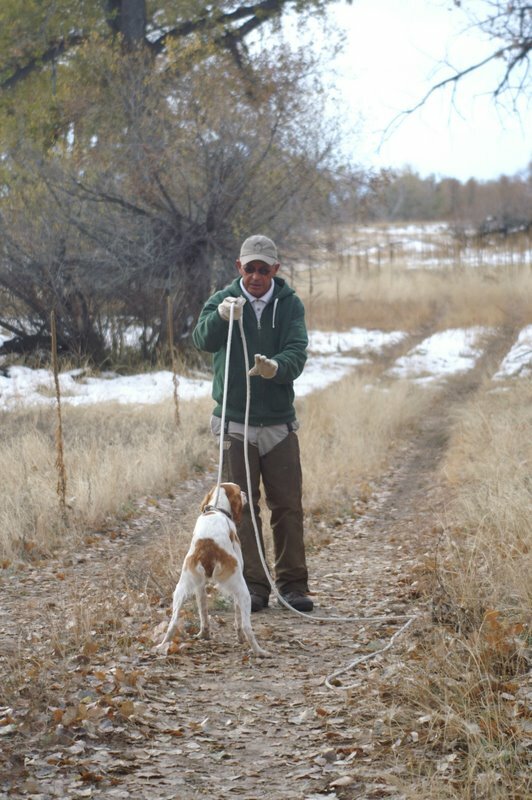 Gary worked with Emile on quail, though he was a bit weasy after being car sick during the hour ride out to Kiowa. 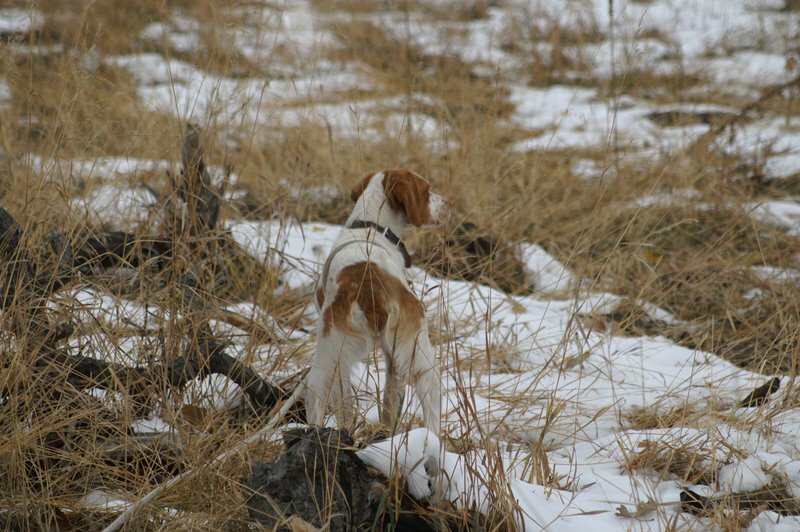 He is only around 12 weeks old, so he has lots of birds ahead of him, so we didn’t push him too hard. Emile is being carried around by Lauren as I write this note, as she loves her puppies, and they are very tolerant of her games. And he loves retrieving a frozen quail in the driveway at home. has been very keen on birds hunting this year, at least the few that we found as we have had a tough year with grouse, even in our honey holes. Anyway, he is now a year old and coming into his terrible twos year and needs a lot of whoa put back into him, as he enjoys chasing the birds too much for a pointing pup. It was amazing, as Gary had him steady to the flush in about 15 minutes of training. He was steady to the flush on several birds the rest of the session. Just when I thought I had learned all of Gary’s training after 15 years now, apparently I am still only performing at 75%, as his consistency and posturing did the trick in short order. 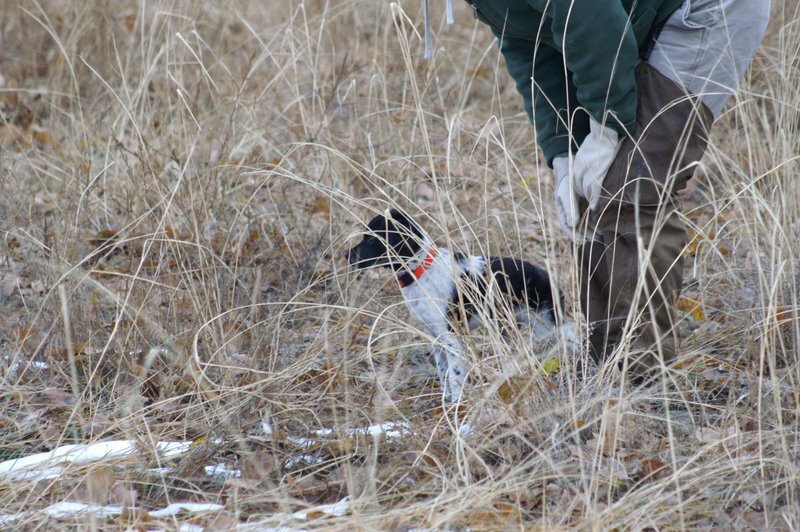 I can’t wait for pheasant and quail season, which opens in another week. Next Post >William G. Tapply 1940-2009: Loss of a Great Outdoor Writer! >What a beautiful puppy! I hope we get to watch her progress through pictures and blogs.